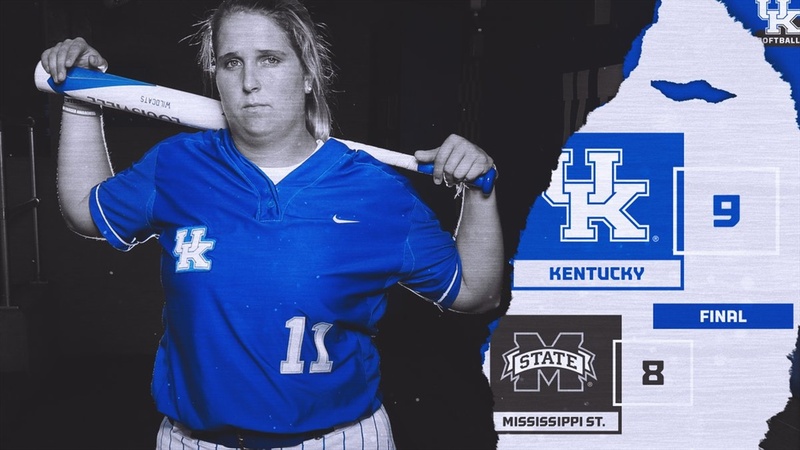 Kentucky came from being down six to win 9-8 to clinch their series against Mississippi State with a massive home run by Abbey Cheek. It was an offensive slugfest at John Cropp Stadium as we saw a grand slam, three run home run, and solo home run. This was UK’s largest comeback win of the season and it allowed Kentucky to remain perfect in SEC play. They are now 5-0 and 19-7 overall. Miss State falls to 19-7 overall and are 0-2 in SEC play. Mississippi State scored in the top of the first on a two out double by Leilua.